It seems that around Bill Cosby, people immediately just want to rest. On the sixth day of the comedian’s sexual assault trial, the defense concluded its case after a mere six minutes of testimony, calling just a single witness to the stand on Cosby’s behalf: a detective who was part of the initial 2005 investigation into Andrea Constand’s accusations against him, and who was apparently there to remind jurors that she had visited Cosby at the Foxwoods Casino in Connecticut, after she’d twice rebuffed his advances. Questioning Constand’s reasoning for being there—and establishing that Constand was, if not reciprocating, at least aware of Cosby’s romantic interest in her—has been key to the defense’s argument so far, which it hopes will color the jury’s perception of what might have happened the night of the alleged attack. Also discussed today, according to reporters on the scene: Cosby’s eyesight, with the Associated Press saying the detective offered testimony that police were aware of his vision problems even back then. Though it seems somewhat tangential, Cosby’s blindness was a point of contention in last year’s pre-trial arguments, with his attorneys arguing that it rendered him unable to recognize his accusers, or to present a proper defense. 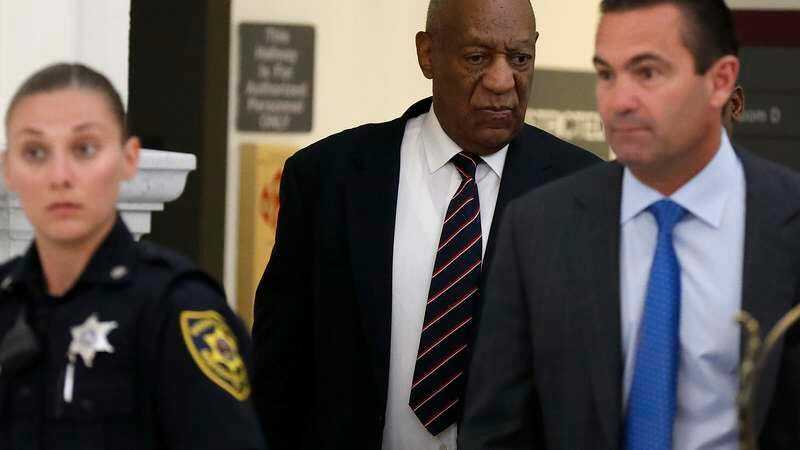 Prosecutors countered that, without a baseline evaluation of Cosby’s eyesight from 2005, his latest diagnosis couldn’t be used as reliable evidence. So, having the detective testify that the police knew he had trouble seeing, even back then, seems to be an attempt to clear all that up—for whatever it might be worth, at this point. On the other hand, his defense argued, Constand visited him in Connecticut after all that. It then rested its case. Among those not called to testify on Cosby’s behalf were any character witnesses or, most notably, Cosby himself, a strategy that would have opened the defense to negative character witnesses and, most damagingly, cross-examination of Cosby. His case now proceeds to closing arguments, with jury deliberations set to begin as early as this afternoon.